Transcorp can professionally manage your end to end office relocations from only a few staff to the largest office projects over multiple site locations. Move with award winning professionals in Melbourne today! 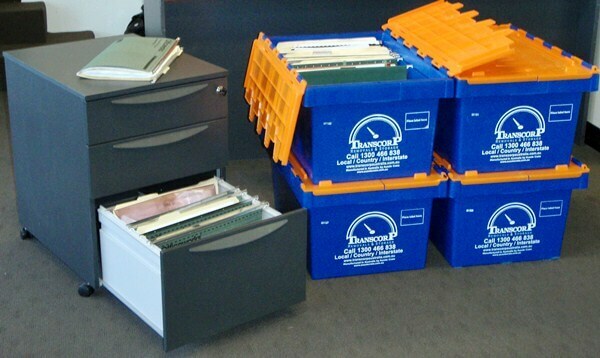 Transcorp Removals & Storage specialize in office and business relocations in Melbourne. With more than 20 years of experience, our highly dedicated and experienced office movers can be trusted to transport all items safely and securely. Equipped with the latest equipment and appropriately sized vehicles, we can provide expert assistance with moves of any size as well as assist with disposal of old desks, cabinets and equipment. Because we understand the importance of minimising downtime, we’ve invested in equipment specific for office and business relocation to ensure your move is fast, simple and cost-effective. When you move with our experienced team, you can be assured of a process that’s smooth and free of stress. Established since 1987, Transcorp have won multiple awards within the removalist industry. We’re also accredited with the Australian Furniture Removal Association (AFRA) and Self-Storage Association (SSA), plus we regularly perform moves for government and professional institutions. When it comes to business relocations in Melbourne, no job is too big or too small! Ask us for a FREE quote for our services today. If you want to learn more about our business relocation services, or if you’re ready to book in with our office movers,click hereto make an enquiry. Our team will get back to you shortly with more information and a free quote.